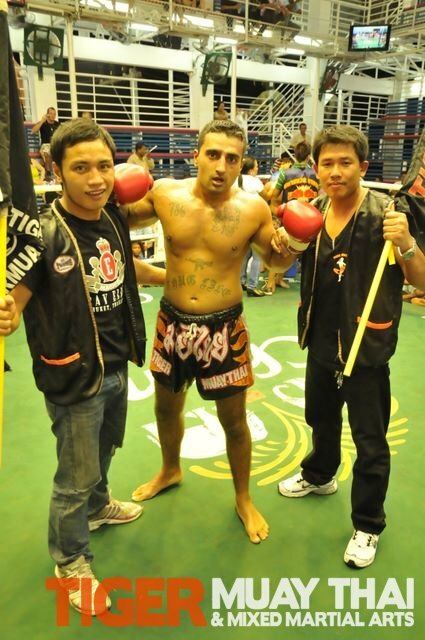 Tiger Muay Thai and MMA training camp, Phuket, Thailand fighters feasted on their opponents like prey over three nights in Patong, Phuket, Thailand on May 18, 19 and 20, 2010. 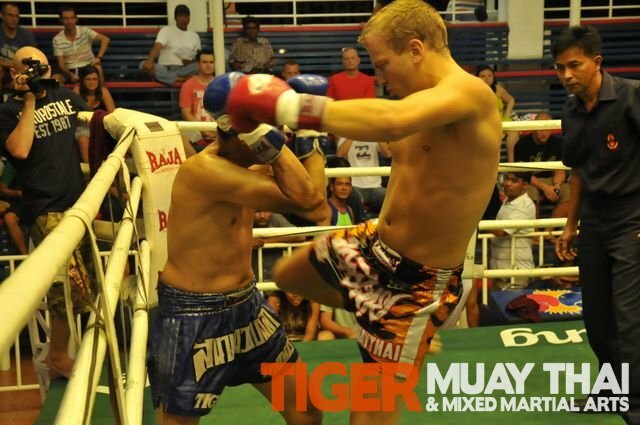 Tiger Muay Thai trainer / Fighter Ritt started it off on May 18 with 3 consecutive 1st round KO’s to win an 8-man Muay Thai tournament against Thai Boxing fighters from other camps in Phuket and Bangkok. Ritt took home a 4-foot trophy and a Champions belt. Nong then followed suit with a points win in an amateur boxing match against a member of the Malaysian Olympic squad. On May 19th, Gassi from Iceland scored a KO in his first fight after spending the last 1+ month preparing for his fight with a 2nd round KO. Arnan from Norway followed up with another 2nd round KO in his first fight. On May 20, Jimmy (Scotland) scored a first round KO with started with head kick that rocked his opponent and Jimmy jumped all over him to finish the fight quickly. 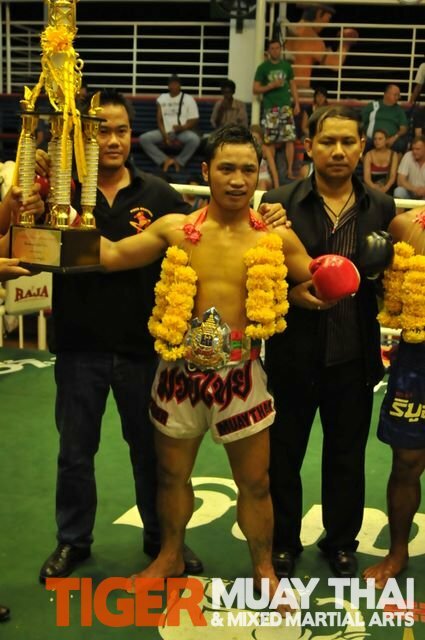 Phalangphet, Tiger Muay Thai’s young Thai boxing sensation scored another win on points.